The glass touch screen / digitizer is used to read input from the stylus, if your iPAQ is stuck in the screen alignment loop, has spider trails when trying to write, or is just cracked you need this part. Note this is a difficult home repair. 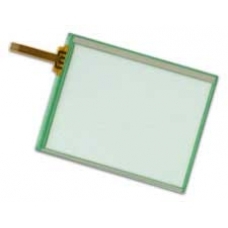 If you are not confident with a 'Do it Yourself' installation of this touch screen spare part, just follow the Related Products link below and order the in-house iPAQ repair service. If you have cracked or smashed the touch screen, but the LCD display is intact the touch screen component can be replace..